A contact lens is a lightweight corrective, cosmetic or therapeutic device that is usually placed directly onto the cornea of the eye. 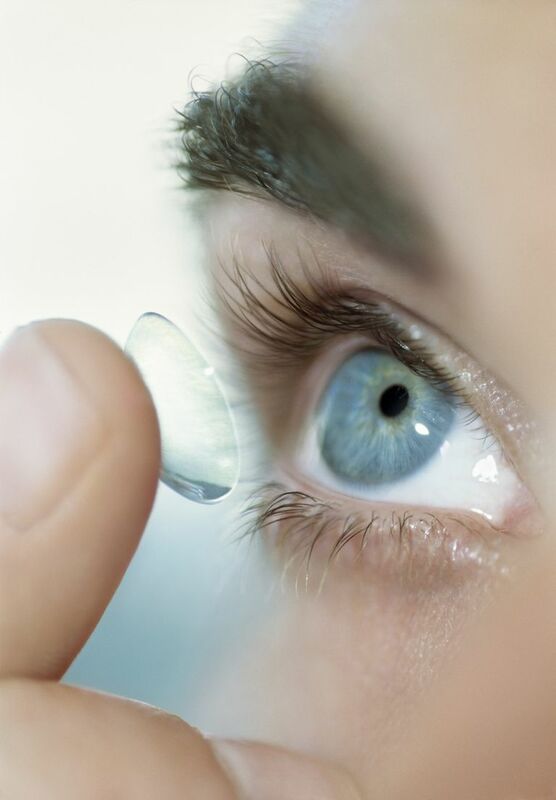 Contact lenses have many benefits for wearers, including appearance and practicality. Many people choose to wear contact lenses as opposed to eyeglasses as they do not steam up, they provide a wider field of vision, and they are more suitable for a number of sporting activities. Contact lenses vary according to construction material, wear time, replacement schedule, and design. In the United States, contact lenses are considered medical devices and require a prescription by a qualified eye care practitioner. Although we think of contact lenses as a modern invention, the concept was first developed by Leonardo da Vinci. Five hundred years ago, he drew diagrams showing how the refractive power of the eye could change with direct contact with water. Years later, inventors thought of putting glass on the eye to change the way our eye focuses. Their ideas probably would have been much more developed had they had the materials and manufacturing methods available to them that we have today. About 120 years ago scientists in Germany made the first contact lens out of glass. They were called scleral lenses because they just did not sit on the cornea, the clear dome-like structure on the front part of the eye, but rather over the entire white part (sclera) of the eye. Around 1940, the first plastic lens was developed that sat only on the cornea. This plastic was made out of PMMA (polymethyl methacrylate.) Because the lens was very small, it appeared to be more comfortable. This lens did not allow oxygen to pass through as well and in the 1970’s rigid gas permeable’s were designed to remedy this problem. This mirrored the design of a PMMA lens but was much healthier as it allowed more tear flow and oxygen transmission. Also in the 1970’s, developers were experimenting with a soft plastic material called HEMA (hydroxyethyl methacrylate.) This material absorbed water and was flexible so it could drape over the cornea. Because the plastic conformed to the shape of the eye and it was very soft, HEMA lenses provided immediate comfort. These lenses were typically designed for one pair to last about a year. As a result, the contact lens industry moved forward at a high rate of speed. In the late 1980’s and early 1990’s, soft disposable lenses came onto the market making it more affordable and convenient for people to wear contact lenses. These lenses were designed to wear for up to two weeks, one month, or one quarter depending on the type of lens design. Soon after, daily disposable lenses were released. Daily disposable lenses are worn only for one day and then thrown away. In recent years, the focus has turned to a silicone based plastic which allows much more oxygen to flow through the plastic to the cornea. Also, manufacturers are continuing to work hard on creating a plastic that was more “wettable” and did not dry out after hours of wear. Interestingly, scleral lenses are becoming more popular. Because today's manufacturing methods are aided by computer design, scleral lenses can be designed so that they are incredibly comfortable. Scleral lenses are used mainly for people with the severe dry eye, large amounts of astigmatism, and people with corneal deformity and degeneration.